Breakstone’s Small Curd 2% Milkfat Low fat Cottage Cheese is made with a powerful combination of ingredients including non-fat milk, cream and whey to create a rich and delicious taste. 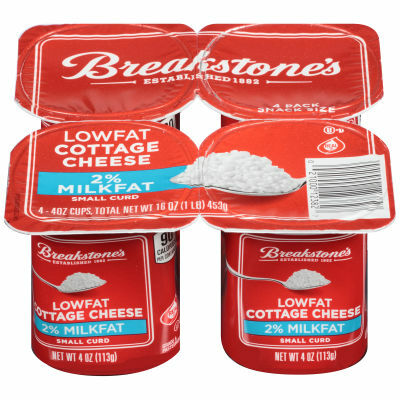 - This Breakstone’s Cottage Cheese gives complement to your favorite snacks. Start your day with a delicious and nutritious breakfast, or enjoy it any time of day. At only 90 calories per serving, this is a healthy alternative that satisfies your creamy cravings. Serving size 1 Container (113g).